With the cold weather, firefighters across the region are finding conditions outside to be brutal. Fire departments are offering advice and reminders so you don't lose everything you own in a blaze that could have been prevented. SILVER SPRING, Md. — As a cold snap continued to push wind chills below zero, firefighters braved the brutal conditions Thursday as they responded to several fires in houses and apartment buildings across the D.C. region. Winter is typically the busiest season for firefighters, but this particular stretch of frigid weather has made their strenuous jobs even more challenging. As crews spray water, they became coated with ice. 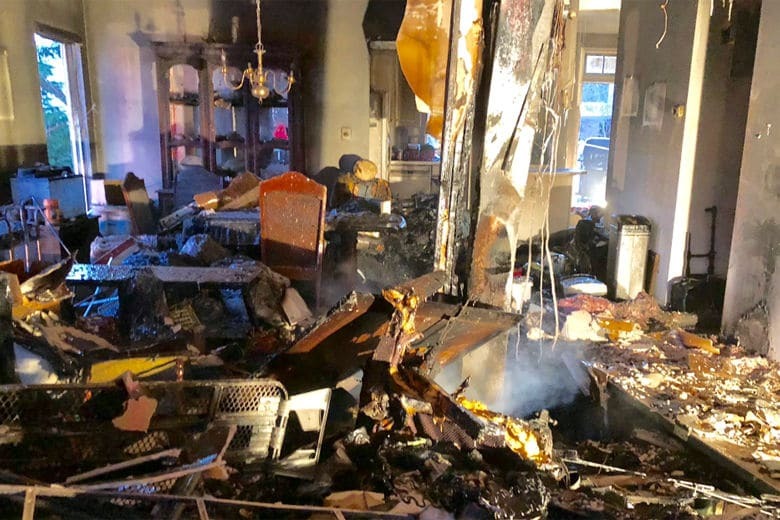 One of the fires that broke out in Montgomery County Thursday caused $750,000 in damage in Germantown. Investigators said it was sparked by a space heater. “The most prevalent word of caution is to give a space heater space,” Piringer said, noting that heaters should be at least 3 feet away from anything that can catch fire. People who use portable heaters are urged to plug them directly into a wall outlet, rather than using an extension cord. “Make sure that your heater is placed on a level, hard and non-flammable surface — not on rugs or carpets,” added Piringer. If folks have fireplaces, Piringer urges them to dispose of the ashes properly. When the ashes are cool, they are supposed to go into a metal container with a lid and be placed outside a safe distance away. “Never discard hot ashes inside or near a home,” Piringer said. Chimney fires are very common this time of year, said Anne Arundel County fire spokesman Russ Davies. “[The fire] starts in the chimney, spreads beyond the chimney, spreads to the second floor, attic of the house. This is very typical for this time of year when people are trying to warm their homes,” Davies said. And nobody should use the heat from a stove or oven to heat a room, Piringer warned. “Not only is that a safety hazard, but it also can be a source of potentially toxic fumes — carbon monoxide,” said Piringer.